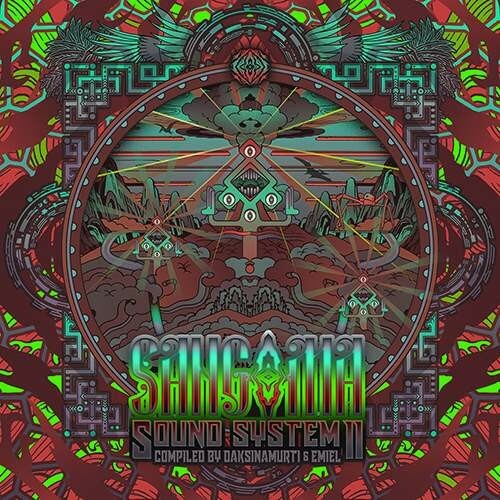 Sangoma Records proudly present the second edition of the Sangoma Sound System saga compiled by labelheads Daksinamurti and Emiel. Inspired again by the rich heritage of our scene, we shifted our focus to Psychedelic music of the 1960’s. An exciting decade, which had a major impact on what we enjoy today, revolutionizing culture and giving birth to the concept of multiday music festivals. This release comes with 20 previously unreleased action packed tunes by our label artists and collaborators that created some tie-dye dancefloor fillers for the survivors, children, starchildren and grandchildren of the Woodstock nation. Kaleidoscopic soundscapes to get lost in the forest - aimed to put flowers in your hair and let you jump in the mud. Sangoma Records - Turn on, Tune in and let your freak out!